And now to Michael in the studio with the latest Antarctic weather report from the Penguin News Network. 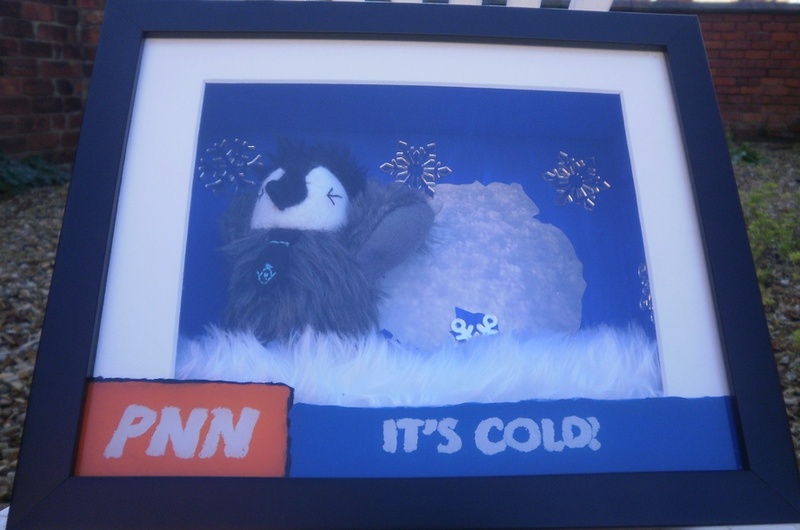 The PNN logo and Its cold! ticker was panted onto the opposite side of the glass so it sits on top of the scene like a news ticker does on your TV. Also if you look really closely you can see Michael peng is wearing a tie with a tiny fish on it.